We provide transportation solutions to help you effectively manage your condition. Kidney failure is one of the most common chronic conditions among clients around the world. When the kidneys no longer function properly, they fail to filter the blood which could result in the build-up of solid waste in the body. 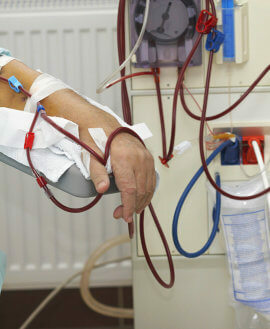 In order to avoid complications, dialysis treatment is required. However, dialysis could only take place in a dialysis center. For clients with limited mobility, going to their treatment sessions could be challenging. Missing their dialysis treatment could complicate the condition of clients. In order to prevent them from missing it, we provide NEMT services. Through this, they are able to have comfortable and hassle-free transportation to and from dialysis centers.